Selling advertising space is one of the most notable blog monetization strategies, and many bloggers dream of being able to earn a living simply be selling banner ads on their blog. Recently I wrote 9 Convincing Reasons Why You Shouldn’t Sell Ads on Your Blog, but as I mentioned in that article, there are some situations where it does make sense to sell ads. Most high-traffic blogs can make a decent income from selling ad space, so while it may not be the best monetization option for most bloggers, there are times when it can be an effective strategy. A few years ago I made the vast majority of my income from selling banner ads on high-traffic blogs, and I learned a lot through the process of attracting advertisers and keeping the ad spots filled. In this article we’ll take a look at 10 steps to making money by selling ads. While there are other monetization methods that I now prefer, like product sales, these tips should prove to be very practical and helpful for bloggers who aspire to sell ads. If you’re interested in learning more about creating a successful blog, please see the Guide to Profitable Blogging. In order to be able to make money selling ads on your blog you will need to be able to generate a lot of traffic. The specific amount of traffic that you’ll need will vary depending on several different factors, but in general, many blogs will need at least 100,000 pageviews per month in order to be able to consistently find advertisers. Getting a large volume of traffic is difficult, if not impossible, if your blog covers a topic that does not appeal to a large audience. Popular topics will give you a much better chance to attract the kind of traffic that you’ll need to have success selling ad space. The down side, of course, is that blogging in a popular industry means that you’ll likely have more competition from other blogs covering similar topics. However, the up side of the higher traffic potential is important if you want to monetize the blog with ad sales. Not all popular topics are ideal for selling ad space. It’s best to find an industry where products and services are being advertised on other websites and blogs. Most of the companies that will want to advertise on your blog will also be advertising elsewhere, and it’s important to know that there are companies looking to reach your target audience. 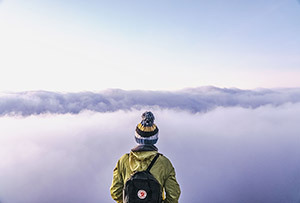 You could have an extremely high-traffic blog, but if no one is looking to promote their product or service to your audience it will be a struggle to make a decent income from ad sales. Search engine traffic is critical if you are planning to maximize your income with ad sales. If your blog ranks well in Google you can get a steady flow of free, organic search traffic on a daily basis. Not only is Google an awesome source of traffic, but search visitors also tend to be more likely to click on ads than many other types of visitors. In order to make money with ad sales you’ll need visitors to click on the ads and to purchase products and services from the advertisers, so search visitors are essential. I’m not one who obsesses over the small details of on-page SEO. Instead, I prefer to use a blog theme that is search engine friendly, and optimize page and post titles for search. Rather than spending countless hours on tiny SEO details you can spend that time creating more content for your blog. If the basic foundation of your blog is search engine friendly, that extra content can make a big difference in the growth of your blog. So how do you find a search engine friendly blog theme? My advice is to stick to the best WordPress themes that have earned the reputation of being great for SEO. The two most notable examples are the Genesis framework from StudioPress, and Thesis. Genesis and Thesis are both recognized as being well coded for search engines, and using one of these themes can result in more traffic from search engines, and Google in particular. ProfitBlitz is built on the Genesis framework and I highly recommend Genesis. There are a few different ways you can go about selling and managing ads on your blog. You can use a network, manage the ads on your own, or use a WordPress plugin to handle the details. 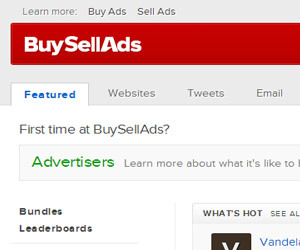 One of the most popular networks for managing ads on your blog is BuySellAds. With BuySellAds you choose the ad sizes and locations, you set the prices, and advertisers can purchase ads through BSA. The great thing about BSA is that it makes much of the process hands-free for the blogger. Payments are collected by BSA, including recurring payments for ad renewals. Banner ad graphics can be uploaded to BSA and managed by advertisers, so you won’t have to mess with them either. And when an advertiser cancels, their ad will automatically be removed from your blog at the appropriate time, so you don’t have to worry about removing ads or forgetting to remove them. The negative to using a network like BSA is that they will keep a portion of the ad revenue in exchange for the service. BSA keeps 25% of the ad revenue. While this may seem like it means less money for you, not having to dedicate your own time to the tasks involved in managing advertisers can allow you to do more with your time. Also, many advertisers may find your site through the BSA network, which can help to keep your ad spots filled. Plus, most advertisers will be buying ads at other websites and blogs through BSA, so it makes it convenient for them to manage more ads at the same place. That convenience means that some advertisers will be more likely to purchase an ad from you if you’re using a network. Another approach is to skip the network and manage the ads on your own. This approach requires that you’ll have direct contact with advertisers to sell ads and collect payments. You’ll also need to ensure that ads are taken down after they are cancelled, and you’ll need to handle the banner ad graphics. This all means that you’ll need to dedicate more time and effort to managing the ads, but you will not have to share the revenue with a network. The third option is kind of a middle of the road approach. There are several WordPress plugins that automate many of the tasks involved with managing ads, but they don’t involve a network that will keep a percentage of the ad revenue. The most feature-rich ad management plugins will need to be purchased, but they will involve a flat fee to purchase the plugin rather than a commission on every ad sold, like you would have with a network. Some of the leading plugins include WP AdCenter and OIO Publisher. With these plugins you can create ad zones at your blog and advertisers can purchase the ads. The ads will then be managed through the plugin and you won’t have to manually handle the details like banner graphics, expirations, and collecting payments. And you won’t have to share the revenue with anyone. There are pros and cons to each option. Personally, I like the network approach if there is a network that serves the majority of the advertisers in your industry. If there is no network with a strong presence in the industry of your blog a lot of the benefits of the network will be negated, in which case a plugin may be the best option. The location and number of ads is critical in determining the price that an advertiser will be willing to pay. The most prominent locations will generally be noticed by visitors and will attract the highest prices. Unfortunately for bloggers, these prominent locations that can bring in the most ad revenue also tend to be the most intrusive to visitors. Typically, the most valuable ad location on a blog will be at the start of the post content, directly below the post title. This location will produce a great deal of exposure and clicks, so advertisers will love it. Header ads also tend to provide advertisers with high visibility, although they usually get fewer clicks than in-content ads. Another good location is directly at the end of the blog post, and before the comments. It could be above or below a brief bio of the article’s author. Ads in this location are usually well below the fold, but visitors that read or scan to the end of the post will see the ad, and this makes it a good location. Sidebar ads tend to attract fewer clicks than the other locations that were mentioned, but the location within the sidebar will also have an impact. Large banners (like 300 x 250 banners) at the top of a sidebar tend to be the most productive sidebar ads. The lower the ad is located and the smaller the dimensions, the less likely it will be to attract clicks. If your priority is to make money with ad sales you will likely need to be willing to sell ads at some prominent locations, even if that means creating a less-than-perfect user experience. In addition to the most common ad locations, you can also consider some less common options. Page background or wallpaper ads are not as common, but they can provide a great deal of exposure for advertisers and bring in a good amount of revenue for you. Other options like sticky footer ads may also be an option. Additionally, you can offer ads on specific posts and pages in addition to sitewide ads to allow for better targeting. If you’re using a network like BuySellAds you will have a page at their site with details on things like ad impressions, sizes, and prices. However, if you’re managing ads on your own you will need to set up a page that lists some details for advertisers. You may want to list ad prices, or you may prefer to have potential advertisers contact you for pricing details. Either way, you should list the ad options available (banner size and location), as well as some basic traffic statistics. Of course, you’ll also want to make it very easy for advertisers to get in touch with you. You can either use a simple contact form or list an email address where you can be reached. In order to maximize the number of visitors and pageviews that you attract, you will want to publish new posts frequently. Most blogs that make money from ad sales will publish at least a few new posts per week, and many will publish several posts per day. Publishing this type of content volume is difficult if you’re handling all of the blog content on your own, so you may want to consider hiring some freelance bloggers to write posts for you on an on-going basis. Most of the largest blogs have a team of regular writers in order to ensure that new content is always being published. Although it is recommended that you publish new content frequently, you don’t want to settle for low-quality content in order to get something new on the blog. You’ll need to be able to create high-quality blog posts that will attract the attention of your target audience, and lead to social media shares and links from other blogs. Keyword research can be extremely helpful for finding blog topics that you can cover with hopes of attracting search engine traffic. Free tools like the Google Keyword Planner and Ubersuggest can be great resources for finding ideal post topics. For those who want to take keyword research to another level, Long Tail Pro is a powerful option (cost is $97). Google Trends is an excellent resource to see what topics are generating a lot of interest and buzz, so you can create blog posts that will appeal to your audience. Social media sites like Twitter, Facebook, Google+, StumbleUpon, and Pinterest can be amazing sources of traffic. Each time your post is shared it will have the potential to reach new readers and increase traffic to the blog. Many of the blogs with server-crushing traffic levels get the majority of that traffic through social media. You can encourage visitors to share your content in a few different ways. First of all, the headline or post title is critical. Not only will a great title lead to more people sharing your post, but it will also lead to more clicks from those social media sites (see Watch Me Write a Headline That Goes Viral). Another way to encourage sharing is to use buttons or widgets that make it simple for visitors to share. We’ve all seen the typical buttons for tweeting, liking, and pinning blog posts. Not only do the buttons make it easy for visitors, but they also serve as a good reminder. Some visitors would be happy to share your content, but they might not even think about it. Seeing the buttons can remind them and lead to more shares. Maintaining an active presence at social media sites is also important for getting social media traffic to your blog. You won’t be able to be active at every social media site, but pick a few that are popular with your target audience, set up your profile, and be active every day. Being active means doing more than just posting links to your own content. Communicate with other users, become a part of the community, and share links to other blogs and sites that your followers will appreciate. Ad pricing is often influenced by the number of ad impressions. More ad impressions can mean more ad revenue. If you’re able to increase the average number of pageviews on your blog it can lead to an increase in ad revenue. Have user-friendly navigation. Make it easy for visitors to navigate your site, as well as offering a sitewide search option. Reduce page load times. Slow-loading pages and posts will chase visitors away from your blog and reduce the average number of pageviews. If you optimize the load time you can encourage visitors to stay on the site longer. One of the most important factors here is your web hosting. I use SiteGround because their servers are optimized for WordPress and they have caching automatically enabled, and the end result is better load times for WordPress. Include internal links in your posts. Whenever relevant and appropriate, link to posts in your archives from within the content of new blog posts. Some readers will click these links if they want to see more, and the links can also help for SEO purposes. Some blogs that prioritize ad revenue will go to extra lengths to increase pageviews, but in some cases these tactics can be annoying to visitors. For example, you may see a top 10 list where each item is on it’s own page and you have to keep clicking to view each item. This may be an effective way to boost the number of pageviews, but you’ll also need to consider the impact on readers. Regardless of whether you are using an ad network, using an ad management plugin, or managing ads on your own, I highly recommend that you create a spreadsheet to keep track of potential advertisers and their contact information. Whenever you get an inquiry about an ad, enter the person and their company into the spreadsheet. You can use this spreadsheet to keep track of when you have been in contact with potential advertisers, and if you are managing the ads on your own you can also use it to track payment and ad expiration dates. You can also add people and companies to your list of potential advertisers based on who you think might be an ideal target for open ad spots. You can visit other blogs to see who is advertising to your audience, and ad these companies to your spreadsheet. Before long you’ll have a considerable list of advertisers and potential advertisers, and when you have an open ad spot to fill you can reach out to people on your list to try to fill it. One of the reasons many bloggers like to use a network like BuySellAds is so they don’t have to deal with trying to sell the ads on their own. BSA, and other networks, may lead to some extra exposure and ad sales for you, but they won’t replace the need for some proactive effort on your part. Just because you’re using a network like BSA doesn’t mean that you won’t benefit from reaching out to potential advertisers to fill your openings. Rather than waiting and relying on a network, take a proactive approach when you have some openings and contact those people and companies that you think would be an ideal fit. 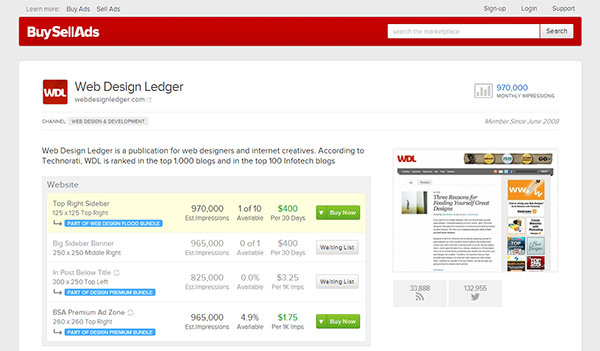 While selling ads isn’t my preferred way to make money with a blog, it is a viable option in some situations. In order to make money by selling ads you’ll need to have high traffic, a targeted audience, and companies that are looking to reach your audience. Work to maximize visitors and pageviews and take a proactive approach to finding advertisers and you may just be able to make a decent income with ad sales.